.......I give you something for the wee ones in your life. Three picture books from Egmont. The first is Fluff and Billy by Nicola Killen. 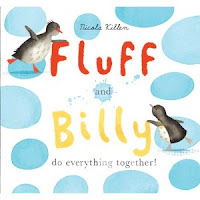 Fluff and Billy are the best of friends... but sometimes even best friends fall out! Whatever Fluff does, Billy copies, and it's starting to get on Fluff's nerves. Will a bit of friendly rivalry get the better of these loveable penguins? Dive in and discover in this heart-warming story of friendship and forgiveness. 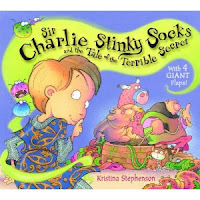 The second and my favourite of the three is Sir Charlie Stinky Socks and the Tale of the Terrible Secret by Kristina Stephenson. Who could it possibly be? And what is this terrible secret all about? It seems something dreadful has happened in the tall, tall tower (with the pointy roof) and the only person who can put things right is - you guessed it – our very own honourable, feisty and courageous young hero, Sir Charlie Stinky Socks! 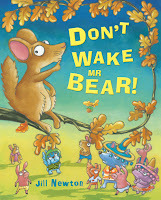 The last book in the set of three is Don't Wake Mr Bear by Jill Newton. 1. Leave a comment to say you would like to win a set of three picture books. 4. Follow @EgmontBooks on twitter and leave a separate comment to let me know you have done so. 5. 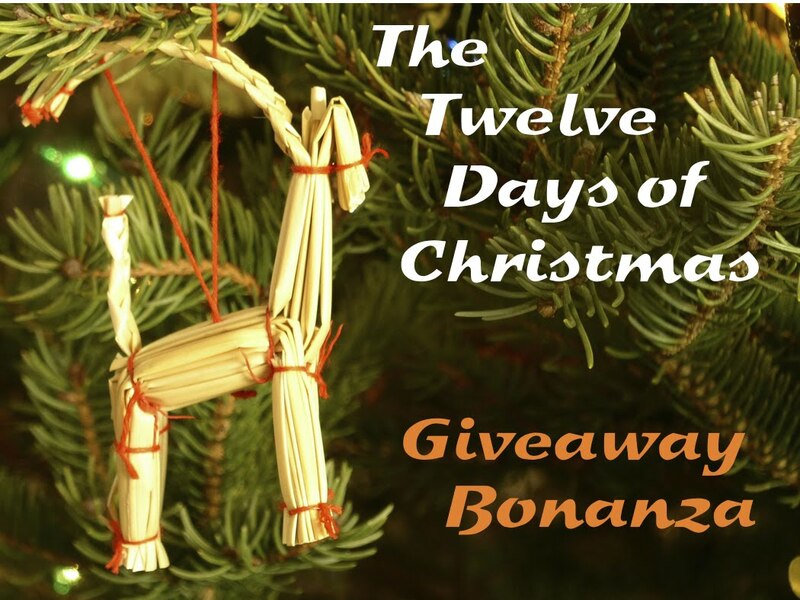 Tweet the competition using (Win 3 picture books - 12 Days Of Christmas Giveaway @EgmontBooks #competition #win http://tinyurl.com/cc2sanp) and leave a separate comment to say you have done so. 6.. Like the Tinned Tomatoes Facebook Page and leave a separate comment to let me know you have done so. The giveaway runs until 27 December 2011 and the winner will be announced on 28 December 2011. This competition is UK only. Good luck everyone and Merry Christmas! would love to win these for my kids! These are lovely books, I would love them for my grandson. I would love to win these. Bud is a huge book fan! charlie stinky socks is a great name for a hero! I've done the Google Connect thing. Would love to win the books! I would love to win a set of these books for my kids. Following via GFC as Hannah Bartram. My nephew would REALLY like me to win these . They sound just perfect for him ! I'd love to win these. I follow @EgmontBooks on Twitter.